The Southcombe Firemaster Non-Structural Gauntlet has been designed for the unique hazards faced during non-structural rescues, extrications and site clearances. The Southcombe Firemaster Non-Structural Gauntlet has a unique, ergonomic curved finger design paired with a hard-wearing combination of PYROHIDE leather and Kevlar construction. Over the top of the leather at the roll tip fingers and around the palm and thumb, a FR coated Kevlar material has been added which provides enhanced abrasion and cut resistance. 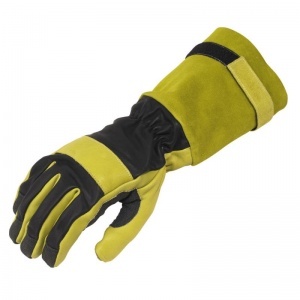 The Southcombe Firemaster Non-Structural Gauntlet feature a snug fitting knitted acrylic cuff and a revolutionary seamless knitted lining of Kevlar with glass-fibre offering the highest level of cut resistance currently available on the market as well as active perspiration technology through the Viloft plating on the face of this lining yarn. 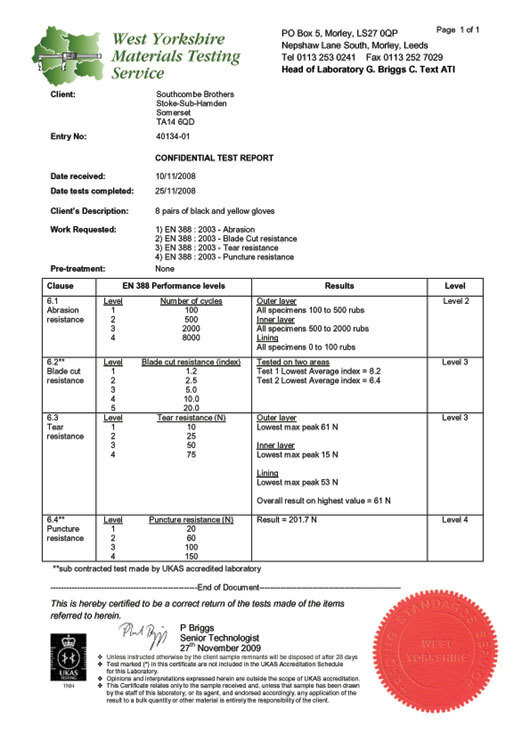 The gauntlet is certified to EN420 and EN388. 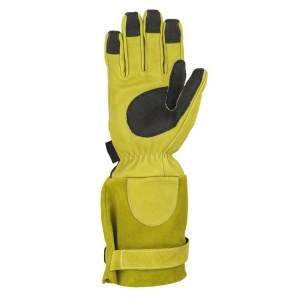 The Southcombe Firemaster Non-Structural Gauntlet offers you a greater level of protection, with a longer design that allows you to connect your gloves with other protective garments. The cuffs are Velcro adjustable for better comfort and fit and manufactured from 100% Pyrohide suede with a Pyrohide grain vein patch. As this product is over £40.00, it qualifies for our free delivery policy. Please be aware that this glove can take 4 to 6 weeks to arrive as they are made to order by the manufacturer.